Oregon-based CRKT is a brand that crafts high-quality knives at an affordable price point. Popular designs are available from Ken Onion, Lucas Burnley, Jesper Voxnaes, and more while CRKT's Forged By War series is 100% designed by Veterans. Born in Oregon in 1994, CRKT (Columbia River Knife and Tool) is an American company known for distinction in design, selection, and quality. For more than 20 years, CRKT has put innovation and integrity first, making a commitment to build products that inspire and endure. CRKT's first hit model was the K.I.S.S. (Keep It Super Simple), first introduced at the 1997 SHOT Show. Compact, affordable, and innovative, the K.I.S.S perfectly represented the type of products CRKT would be known for over the ensuing 20 years. With most of their product line coming in at under $50, any knife collector can afford to try some of CRKT's innovative designs and groundbreaking technology. With collaborations in place with all of the top knife designers within the knife industry, you no longer need to spend thousands of dollars on a custom to get a piece from your favorite maker. What's to come for CRKT? More innovation! With the recent release of the game-changing Provoke, Seismic, and Slacker, it's clear that CRKT is a top brand to watch and that they still have some tricks up their sleeve. Which CRKT Should I Buy? The thing customers love about CRKT is their amazing designs that are offered at unbeatable prices. Keep an eye out for some models to be released with premium materials from time to time as well. Popular models include the Pilar from Jesper Voxnaes, the Crossbones from Jeff Park, the Obake from Lucas Burnley, and the Provoke from Joe Caswell. Check out our Best Knife Brands, Best EDC Knives, and our Best Folding Knives guides to see how CRKT knives stack up. From CRKT as of 3/19/19. This warranty covers any defects in materials or workmanship. If one of our knives ever breaks or fails because of material or manufacturing defect, we’ll repair or replace the knife. This warranty runs as long as you own your knife. 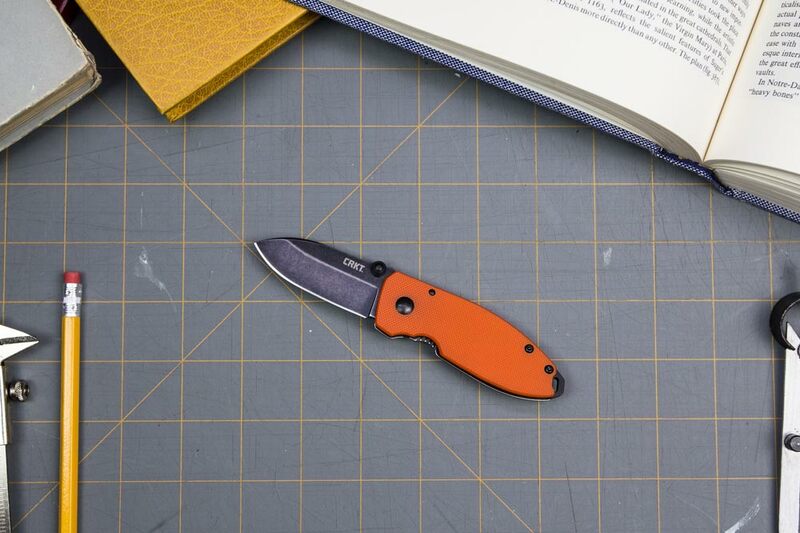 Coverage ends if you sell or otherwise transfer the knife to someone else, or if your CRKT® knife is modified in any way. This warranty does not cover breakage or failure due to misuse of the knife. Knives as good as ours rarely break or fail because of a defect. Usually they break or fail from what we call “tool abuse”—using them for unsuitable tasks like prying or pounding. Therefore, blade tip breakage is not covered by our warranty. Use of a knife for any purpose other than cutting voids the warranty. (The exceptions to this caution are the A.B.C. Aqua and MAK-1 Multiple Access Knife which have tips designed specifically for prying.) So please match the tool to the task, and use your knife only for cutting. The knife will last longer, and you’ll be safer too. This warranty does not cover failure of mechanisms due to your failure to properly maintain them.